We are enmeshed in a lineage that came from somewhere and is going to make way for the next generation. We should never rush into folly just because other nations are practicing it. What does it mean to be an individual? What does it mean to flourish? Even if certain rogue countries do things we wish nobody did, it doesn't necessarily mean that their foolishness should justify our following suit. As bad as it might be to destroy a creature made in God's image, it might be very much worse to be creating them after images of one's own. Our only responsibility is to live our own life and take care of our own children. Leon R. While biotechnology offers great promise for health care it has applications for "many other ends good ones and bad. Kass places "special value on the natural human cycle of birth procreation and death" and views death as a "necessary and desirable end" and the human and human aspirations that are derived from it. Kass is currently the Addie Clark Harding Professor in the College and the Committee on Social Thought at the University of Chicago and the Hertog Fellow at the American Enterprise Institute. 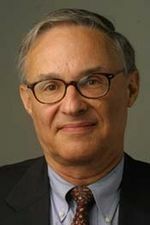 His books include Toward A More Natural Science: Biology and Human Affairs; The Hungry Soul: Eating and the Perfecting of our Nature; Life Liberty and the Defense of Dignity: The Challenge for Bioethics; The Beginning of Wisdom: Reading Genesis; and What So Proudly We Hail: The American Soul in Story Speech and Song.